AAUW NC is pleased to announce that the officers whose terms started July 1 2014, Treasurer JoAnn Hall and Vice President Peg Holmes, are willing to stand for election to their second two-year terms. If others wish to run for these offices, they should contact Branch Advocate Donna Wilson (see contacts page) as soon as possible and, if practical, their information will be added to this page. Nominations will be accepted from the floor at the annual meeting on April 2. Note that anyone nominated must have agreed to serve. JoAnn Taylor Hall, president of the Jacksonville Regional Branch, is the nominee for the position of treasurer. She received a Masters of Library Science from Drexel University and an undergraduate degree in Speech and Communication from the University of Delaware. Currently, she is the Medical Librarian at the Naval Hospital, Camp Lejeune, NC. She served 13 years in the United States Marine Corps and worked four years as a high school Media Center Coordinator. She has been an active member of AAUW for 12 years. She has served as the branch secretary, treasurer and branch president for multiple years. She is the current treasurer for AAUW NC. She is a certified Personal Fitness Trainer and a member of the Aerobics and Fitness Association of America. She also has a successful Avon business. JoAnn has been married for 36 years and has four sons and eight grandchildren. She enjoys line dancing, knitting and crocheting, reading and trying new recipes. Peg Holmes of the Hendersonville Branch is the nominee for the position of Vice-President. She received an Ed. D. in Physical Education from the University of North Carolina at Greensboro, an M. A. in Physical Education from Case Western Reserve University and studied at the University of Oslo, Norway. She received a B.S. in Physical Education from Russell Sage College. She has taught Physical Education in K – 12. She has taught Teacher Preparation in Physical Education at the college level. 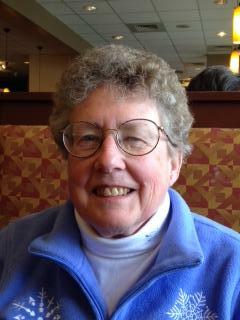 She has been an AAUW Member for 30 years in Presque Isle Maine, Kalamazoo, Michigan, Asheville, and Hendersonville. 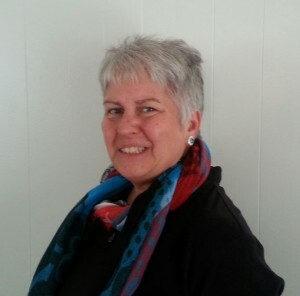 In the Hendersonville Branch, she has served as 1st Vice President in charge of programs, President, Nominating Committee Chair, and LAF Chair. For AAUW NC, she has served as a member of the By-Laws Committee, the Restructure Committee, and Nominating Committee. Peg works as an Audio Host at Biltmore House. She is a member of the Board of Directors at Safelight in Hendersonville and is involved in many community activities in the area. Just for fun she plays tennis and skis (Certified Level 1 Instructor). She likes to sew, quilt, do counted cross stitch, and knit and work in her garden.